Showcase your premium green beans and roasts in traditional shop coffee bean silo’s. 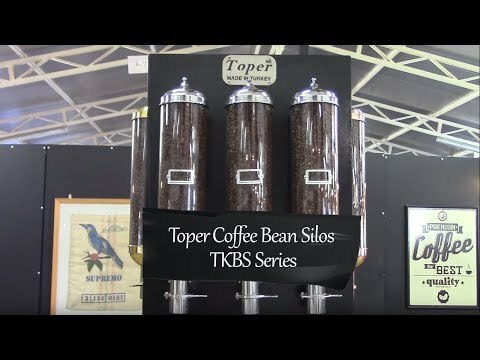 The cylindrical and rectangular silos from Toper R&D are recognized as a stylish choice for storing and displaying different types of coffee beans in coffee shops, supermarkets, restaurants, shopping centers and numerous points of sale. With a capacity of 4.5 kg – 10 lbs the rectangular and cylindrical silos will have the capability to store different granular food like nuts and coffee beans. Easy-to-install and use, keeping the beans in premium quality conditions. Comply with food regulations in various countries. Availability to be manufactured in custom sizes upon request. Occupy optimum space by wall-mount design.